Welcome to The Alzheimer’s Podcast! 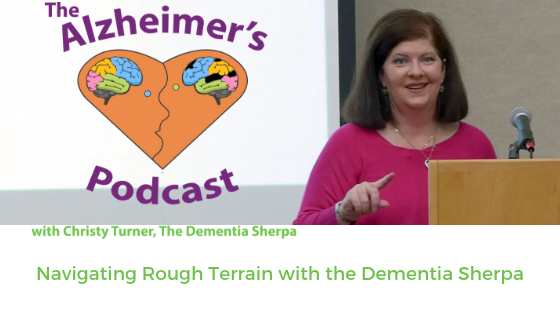 I’m Christy Turner, AKA The Dementia Sherpa. I’ve enjoyed the privilege of working with over 1,500 people living with dementia and their families so far…including multiple experiences in my own family. In the course of my career, I’ve transformed from total trainwreck on my first day as a professional, to local go-to expert, speaker, trainer, and consultant. And if I can go from scared spitless to confident care partner, I promise you can too! Subscribe below, and be sure to check out our library of past episodes.